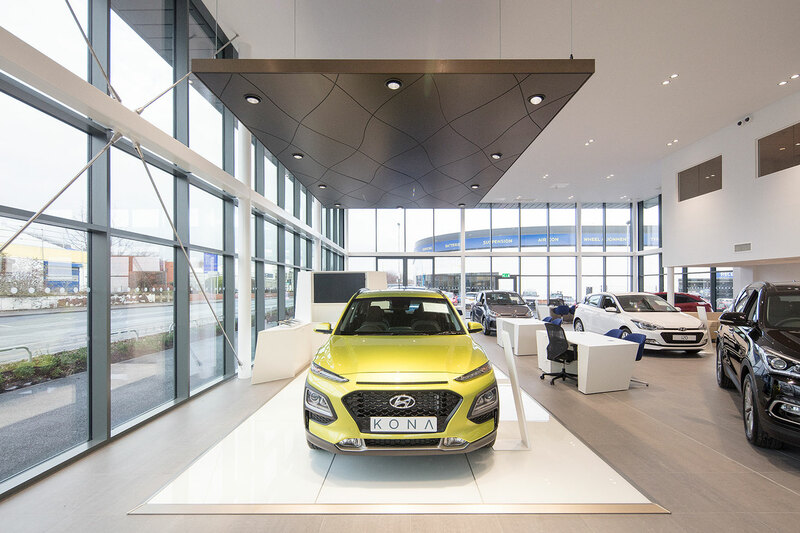 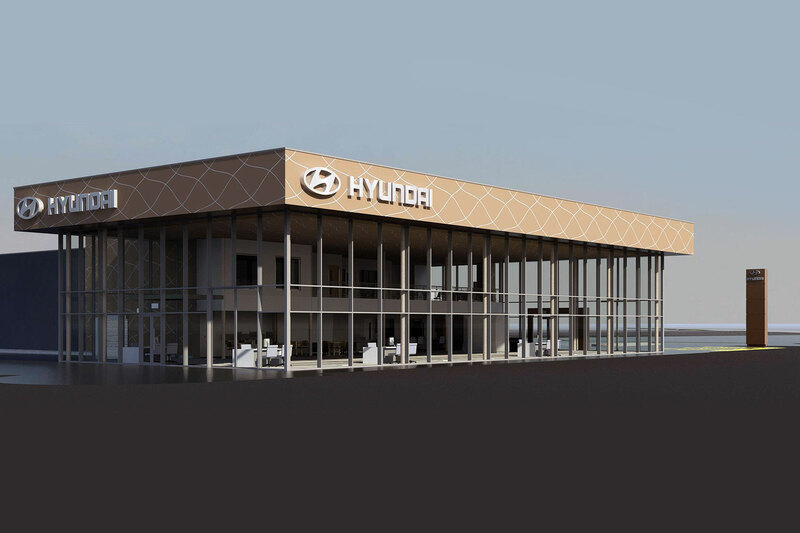 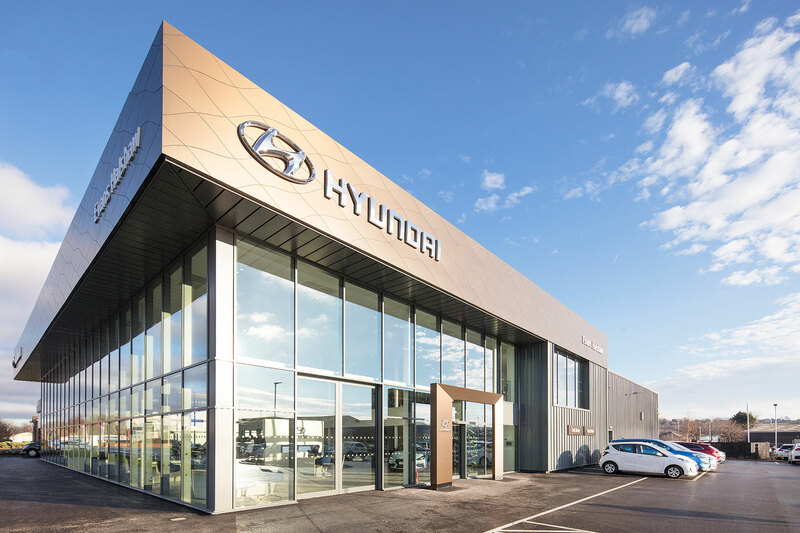 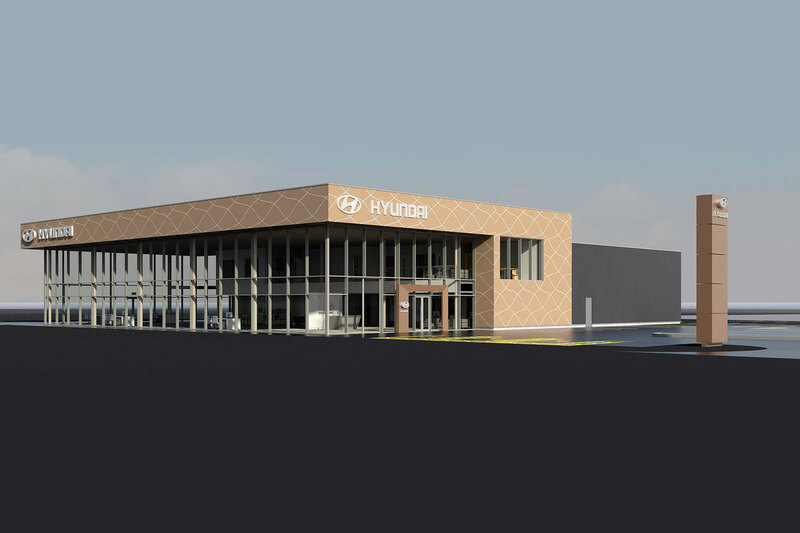 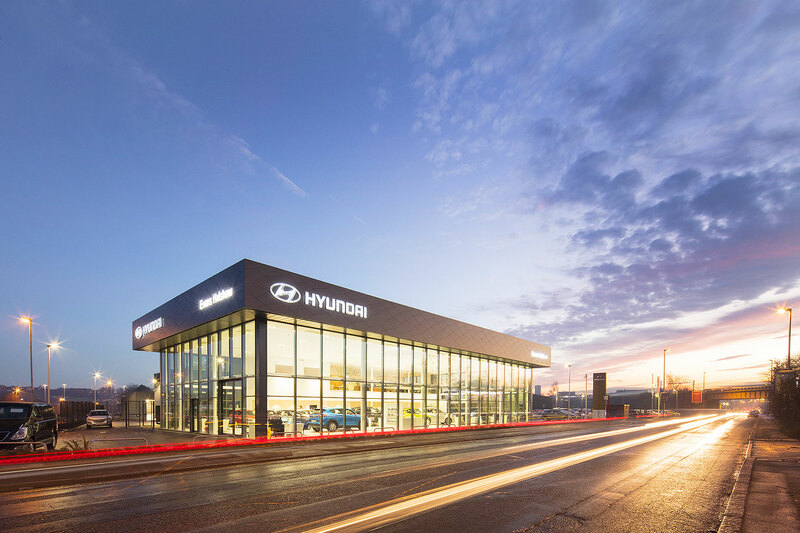 Completed in December 2018, and including the latest Hyundai brand identity this 9 car dealership sits on Geldard Road, Leeds. 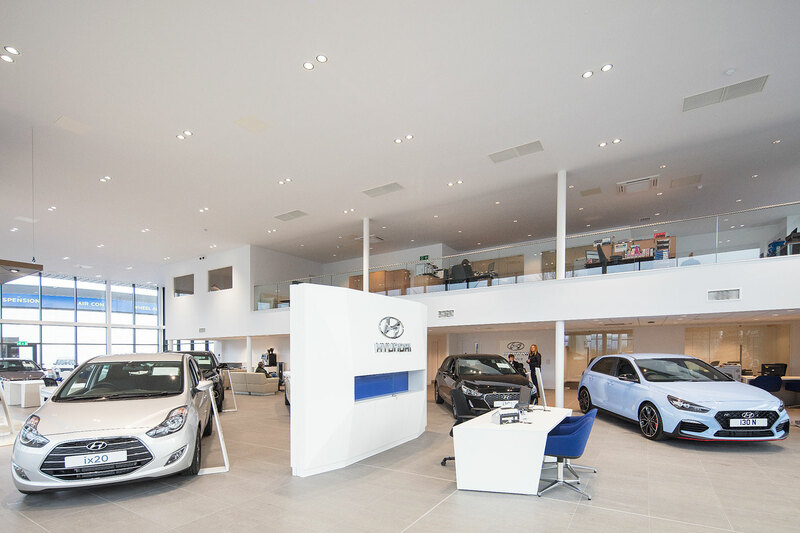 Initially securing planning consents for Pendragon Plc UJP were then novated to Caddick Construction to deliver the full design and d&b contract. 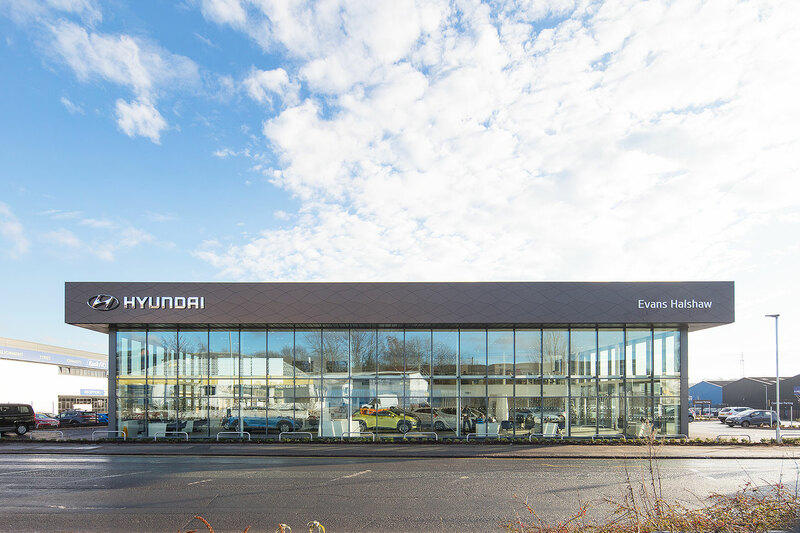 The dark cladding, graphics and the large overhanging eaves certainly creates a striking and imposing building in this busy Leeds area.